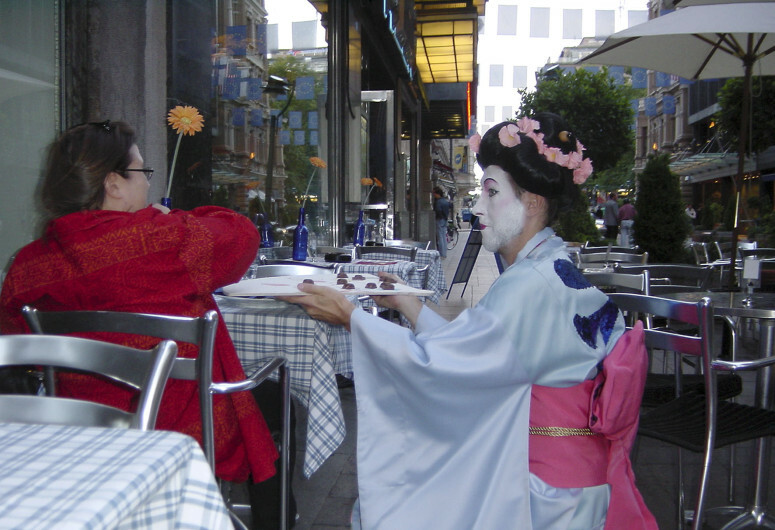 The performance in the Fazer café, rich with traditions, dealt with the energies of serving and to please other people. 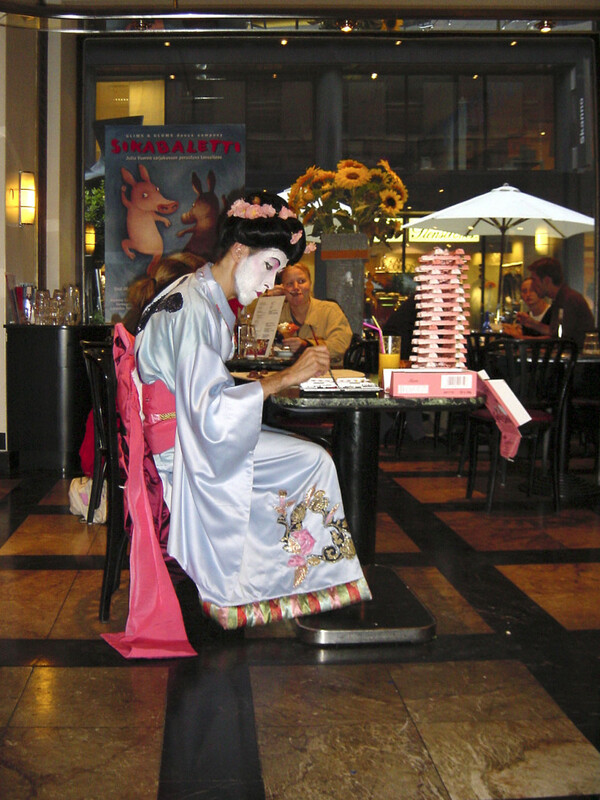 The starting point was the chocolate bar called Geisha, made by Fazer. Together with another Fazer classic, the Da-Capo chocolate bar, it has followed Andersson since childhood, with its nice taste, pink colour and Japanese design. 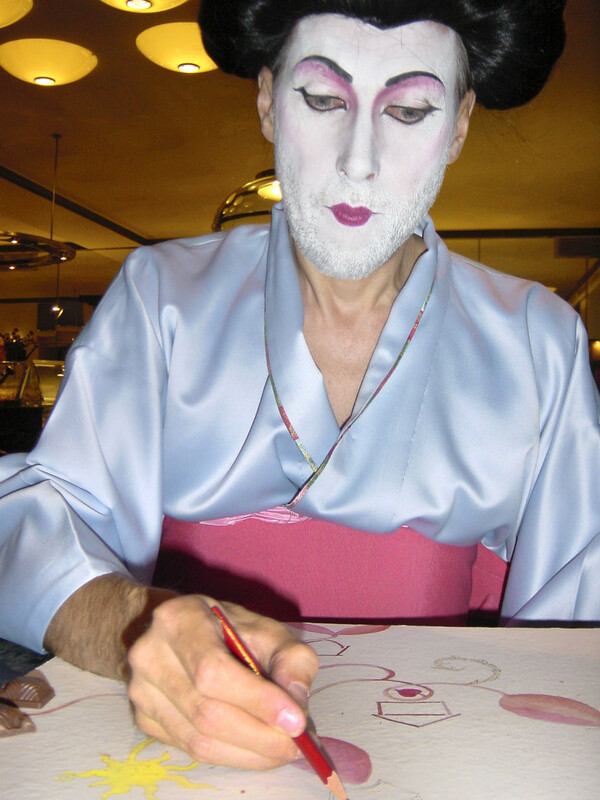 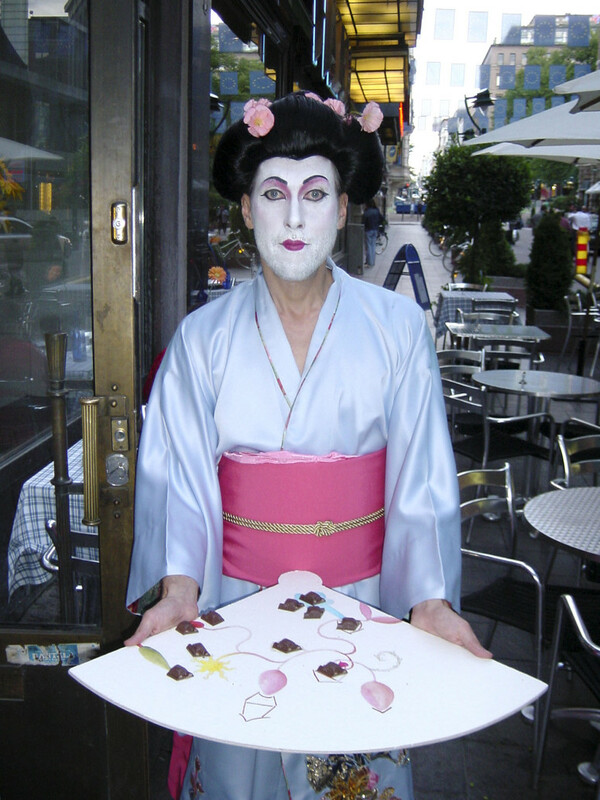 Andersson wanted to experience how the gender switching to dress like a Geisha, and to concentrate on the action of serving people, would affect him and the customers in the café. 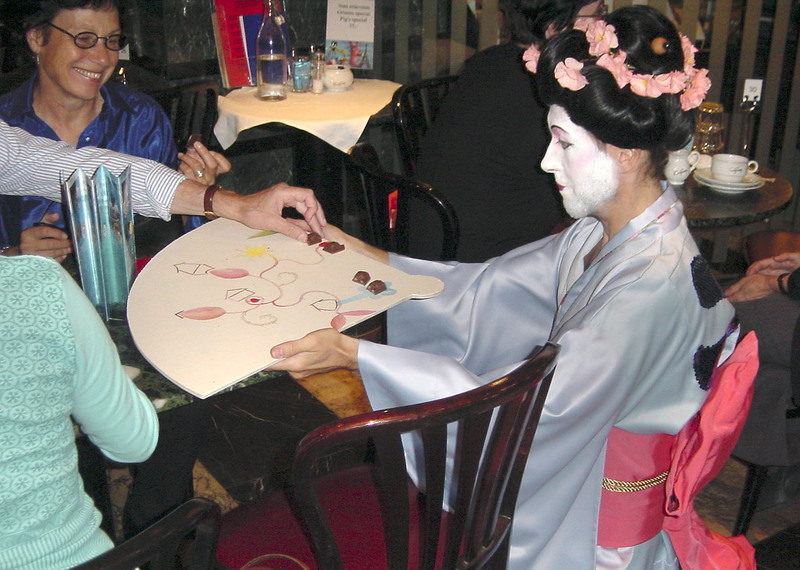 His tray was shaped like a fan and covered with water colour paper. 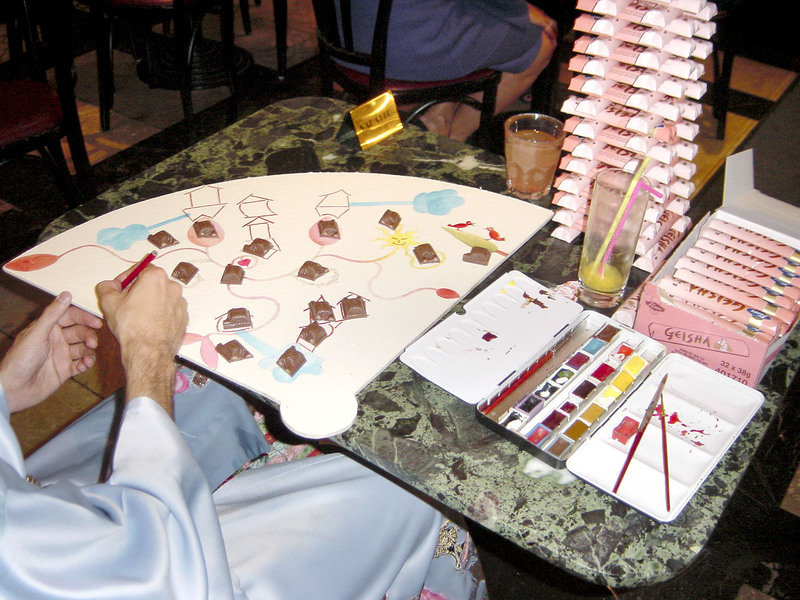 During the performance Andersson draw small cottages for the pieces of chocolate. 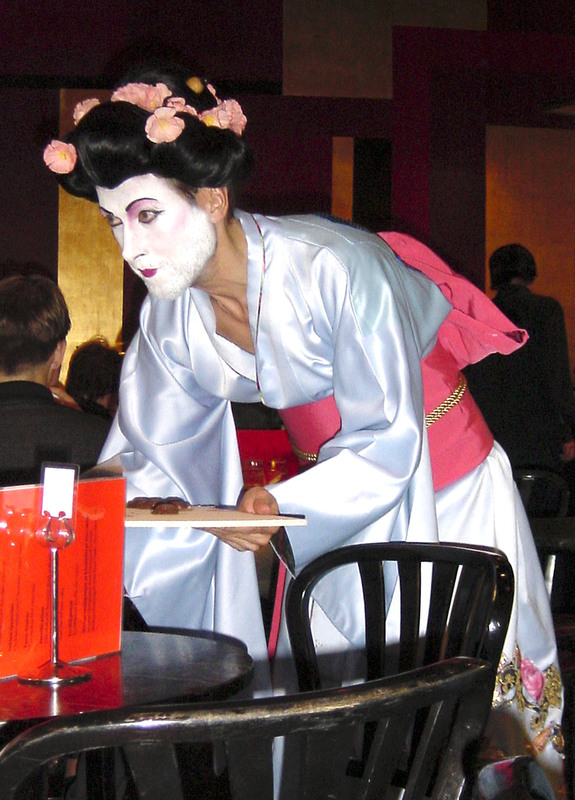 Now and then he went around in the café, serving the pieces of Geisha chocolate to the customers, kneeling in front of them.